The Associate of Applied Science Degree in Nursing Program is a 1+1, full-time, multiple entry/exit, 18-month program leading to an Associate of Applied Science Degree in Nursing. The student will receive education to perform nursing interventions with precision and efficiency consistent with current concepts and evidence based practices. Professionals in the nursing field teach nursing theory in the classroom. Under professional supervision, students obtain extensive clinical experience through hands-on experiential training. Successful completion of the first year will prepare the student for licensure through the National Council Licensure Examination (NCLEX-PN®). Students will receive a certificate in Practical Nursing. Successful completion of the second year will prepare the student for licensure through the National Council Licensure Examination (NCLEX-RN®). Students will receive an Associate of Applied Science Degree in Nursing. 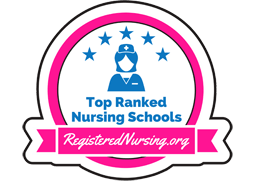 This program was recently ranked as the Top Nursing Program in Kansas by registerednursing.org. See full story here. Formulate safe and effective clinical judgments guided by the nursing process, clinical reasoning, and evidence-based practice. Generate teaching and learning processes to promote and maintain health and to reduce risks for a global population. Students will purchase a lab kit once lab courses start. In addition to filling out an application for admission to the college, potential nursing students must also fill out a separate NURSING APPLICATION. 1. Applications will be available and need to be turned into the nursing department during the time frame of September 1st to January 31st for those anticipating admission the following fall into the first year of the program. Applications for the second year of the program will be accepted from September 1st to March 31st for those anticipating admission the following fall. 2. The applicant shall have an application on file for the year that the class is being selected. 3. The applicant shall be a high school graduate or have a GED certificate upon entering into the program (college graduation requirement). 4. The applicant shall submit official transcripts for all secondary and post-secondary course work taken in order to be considered for class selection. 1. The nursing applicant makes known that English is not his/her primary language for written or oral communication. 2. All nursing applicants must show proficiency in oral and written English if their primary language is not English. 3. Applicants must complete the TOEFL and TSE exams. 4. Kansas State Board of Nursing guidelines for TOEFL/TSE scores will be followed. B. TSE – Test for Spoken English. 6. The first year applicant shall take the entrance examination for purposes of placement in the program. Entrance testing will occur during the months of September through the end of January. The ATI Test of Essential Academic Skills (TEAS) is used with a required cut score of 58.7% as established by the test vendor. The TEAS may be taken a total of 2 times with one month in between testing dates. An applicant may retake the TEAS to improve his/her score even if a 58.7% cut score or higher was achieved initially. The individual adjusted total score will be used for ranking purposes for class selection. The testing fee is $70. Click on create an account link. When asked to select an institution choose North Central KS Tech College Hays PN. For Student/Employee ID: put your birthday. For example, if your birthday is November 5th 1990 put 11051990. Check non-degree seeking. Once registered, write down your username and password or print it off and bring it with you to your testing appointment. Without your username and password, you can’t take the test. Your test is taken on the computer and will be graded immediately online at the completion of the test. You will also be able to access your results online through your student account. Current first year students seeking a position at the second year shall submit a second year nursing application to the nursing program director by March 31st. The grade requirement for first year nursing courses is an 87% or higher. Those who do not meet this standard can reapply to the second year of the program after a year of LPN work experience. The TEAS was developed to measure basic essential skills in the academic content area domains of Reading, Mathematics, Science, and English and Language Usage. These entry level skills are deemed important for nursing program applicants by a panel of nursing program curriculum experts. The TEAS is a 170-item, four option, multiple-choice timed assessment test. To prepare in an organized and efficient manner, you should know what to expect from the real assessment. ATI’s toll free number is 1.800.667.7531. 7. All applicants shall have a C or better in previously completed general education and other plan of study (non nursing) courses. The actual grade will be considered only in the case of a “tie” in the scores of the first year applicants. The actual grade of nursing courses will be considered only in the case of a “tie” in the scores of the second year applicants. 8. First year applicants must be a Certified Nursing Assistant (CNA – active in Kansas) before they can be accepted into the program. Admission points will be awarded to those applicants who are Certified Medication Aides (CMA). 9. Current first year students seeking a position at the second year shall submit a second year nursing application to the nursing program director by March 31st. The grade requirement for first year nursing courses is an 87% or higher. Those who do not meet this standard can reapply to the second year of the program after a year of LPN work experience. Must meet program admission requirements. Must be a graduate of a Kansas program. Must receive equivalent to a minimum of 40% of the admitting program’s nursing credit hours. Must validate previous nursing information when required through NCLEX-PN, testing, escrow, or portfolio according to program policy. No validation of nursing credits is required if holds current PN license. No validation of nursing credit is required if holds current PN license. College may require 1000 hours nursing work experience as an LPN during the last three years. Validation, if necessary, will be achieved by receiving a satisfactory score on a standardized pre-entrance examination or by portfolio evaluation. Validation of nursing credits is required. Current PN license is required. College may require 1,000 hours of nursing work experience as an LPN during the last three years. 11. For those applicants who have graduated from an out-of-the-state practical nursing program, nursing credits will be evaluated individually by the nursing program director. 12. Associate degree (second year) applicants shall provide evidence of completion of a course of study equivalent to the first year of this program. 13. All required information shall be in the official file maintained by the nursing program director before the application will be reviewed. Responsibility for completing the required information rests entirely with the applicant. 14. The class will be selected by choosing the highest-ranking applicants. Alternates will be chosen to fill the remaining slots as positions become available. 15. Class Selection will be finalized and those selected will be notified in February (first year applicants), and in April for second year applicants. 16. Following the class selection, the application will be purged and the application process (meaning new application) will begin again. CMA courses provide students with basic training in medications and medication administration. The course prepares students for employment as a CMA and to dispense medications, under the supervision of an LPN or RN, in a long-term care facility. The course is developed using Kansas Department for Aging and Disability Service Kansas Medication Aide Curriculum. Coursework includes lecture, skills lab and clinical components. Upon successful completion of the course and the required clinical hours, students are eligible to sit for the State CMA Certification Test. The CMA course is also offered in a hybrid Online/Traditional format at various times throughout the year. There is an additional cost associated with the online courses. Course costs will vary from year to year, so please check the current course schedule or contact NCK Tech for current costs. Must have Kansas CNA certification. Must be 18 years of age by the course end date. Reading comprehension test scores demonstrating a reading level at or above an 8th grade level is required by the state of Kansas. TB skin test within the past year is required – please submit documentation with application. Flu vaccination may be required by the clinical facility during fall/winter months. Physical requirements: To provide safe, effective resident care in a learning environment you must be able to lift 50+ pounds. If you have physical limitations or any pre-existing conditions, please provide a medical provider’s note of medical clearance for resident safety or plan to take this course at another time. Online Learners: Must be computer literate and have reliable internet accessibility. Criminal convictions may jeopardize eligibility for certification and/or employment. NCK Tech Offers a 10-hour CMA Update course each Fall and Spring semester. This course covers information such as a review of new medications, preventing medication errors, high risk medications, alternative treatments, medication interactions, and documentation. This course is approved by the Kansas Department for Aging and Disability Services and designed to satisfy the requirements for CMA continuing education every two years. CMA certification may not be expired by more than 1 year. Online courses must be paid in full at least one week before the course begins. Traditional courses must be paid in full by 3pm the Friday before class begins. To request core course information, or to be placed on the mailing list for the course that you are interested in, please contact Jana Donnelly, R.N. via e-mail (jdonnelly@ncktc.edu) or via phone (785-623-6151). Please make sure to clearly indicate which class you are requesting information on and include your name, address, phone number, and e-mail address. CNA courses provide students with training in basic nursing skills such as bathing, grooming, mobility, infection control, feeding and vital signs. While the course is focused on the care of older adult patients, the skills learned may be applied in a variety of health care settings. The course is developed using Kansas Department for Aging and Disability Service Kansas Certified Nurse Aide Curriculum. Coursework includes lecture, skills lab and clinical components. Upon successful completion of the course and the required clinical hours, students are eligible to sit for the State CNA Certification Test. Certified CNA’s can gain employment in a variety of settings such as nursing homes, assisted living facilities, home health organizations, hospitals, and physicians’ offices. The CNA course is also offered in a hybrid Online/Traditional format at various times throughout the year. There is an additional cost associated with the online courses. Course costs will vary from year to year, so please check the current course schedule or contact NCK Tech for current costs. Must be at least 16 years of age by course end date. Must be able to attend ALL class, lab and clinical sessions – be sure you know the schedule before enrolling! Criminal convictions: Criminal conviction may jeopardize eligibility for certification and/or employment. A CNA Refresher Course is offered for students whose Kansas CNA certification has become inactive. Please see the CNA course schedule for available dates and prices. To request core course information, or if you have any questions, please contact Jana Donnelly, RN via email (jdonnelly@ncktc.edu) or via phone (785-623-6151). Please be sure to clearly indicate which class you are requesting information on and include your name, address, phone number and email address. To request core course information, or to be placed on the mailing list for the course that you are interested in, please contact Jana Donnelly, RN via e-mail (jdonnelly@ncktc.edu) or via phone (785-623-6151). Please make sure to clearly indicate which class you are requesting information on and include your name, address, phone number, and e-mail address. Q. What is a 1+1 program? and get an appointment to take the NCLEX-PN®. This is a national exam. national exam. The results are reported within a few days. Q. What is the difference between an RN and an LPN? programs are available, and some quality ones are even on the Internet. Q. How many students do you accept into your nursing program? A. Forty (40) first year PN students are accepted once a year for the Fall semester. B. Thirty (30) second year RN students are accepted once a year for the Fall semester. Q. What are the requirements of getting into your program? A. For first year applicants, your application and transcripts must be submitted. Completion of the non-nursing courses, score on the entrance test and certification (active in Kansas) as a nurse’s aide will influence admission standing. Currently the ATI Test of Essential Academic Skills (TEAS) created by Assessment Technologies Institute is used. Information about the test or review material such as a study guide and online practice tests is available at www.atitesting.com. B. For second year students, your application and transcripts must be submitted. Completion of the non-nursing courses, IV Therapy Certification and Practical Nursing program grades will influence admission standing. Q. What is the required GPA to get into the program? A. There is no “required” GPA for selection however, the nursing program policy states that the required grade in all general education requirements is a “C” or above. The high school transcript (or GED) is required for admission to the college; the GPA is not part of the nursing program selection criteria. Q. How many applicants usually apply? A. Approximately 3 apply for each space available. Q. Do you accept letters of recommendation? Q. Are any courses offered in the evening? Q. What is the schedule of days and times for the nursing courses? of clinicals are conducted at Hays Medical Center. Most generally clinical hours are from 0630 (6:30 a.m.) to 1530 (3:30 p.m.), but may include evening, night or weekend hours. A. No. The class selection is completed in early February for first year applicants and in April for second year applicants. working with ventilators, fetal monitor interpretation, etc. credits will transfer to NCKTC? course number, course name and course description in question. Q. What if I don’t want to be an LPN but an RN? choice whether to practice as an LPN. Practical Nursing and Associate Degree in Nursing programs? graduate nurse from the NCKTC Associate Degree in Nursing program is about $20.00 per hour ($41,600 annually). Q. Is there a required background check? by the Kansas State Board of Nursing and accredited by the Accreditation Commission for Education in Nursing (formerly NLNAC). than 9 months or the ADN program in less than 2 years? be completed in less time. Q. Are financial aid and scholarships available? • A designated period of application each year. • A ranking system that considers time-proven elements of success. • A system that allows each applicant opportunities to increase his/her ranking. North Central Kansas Technical College, Hays campus, has a 1+1 (two year) Associate Degree in Nursing (ADN) program. The first Practical Nursing class to graduate was in 1975. The first Associate Degree in Nursing class to graduate was in 1997. To date, more than 1,500 students have graduated from the program. Students have the option to exit out after completion of the first year of the program or may continue directly on into the second year of the program if grade requirements are achieved. Please contact the Director of Nursing for further information. Criminal conviction may jeopardize eligibility for licensure. Please contact me if there is a concern. Additional criminal conviction information may be found here. 1. Innovative personalized nursing curriculum that incorporates diverse teaching strategies and current technologies in the teaching and learning process. 2. Applied educational programming to enhance professional growth, enrich lives, understanding and appreciation of individual diversity and lifelong learning. 3. Strengthening educational partnerships with community health care settings and programs promoting articulation and collaboration with universities. All departments of the North Central Kansas Technical College have been approved and accredited by the Division of Vocational Education, Kansas State Board of Education, and North Central Association of Colleges and Schools. The Kansas State Board of Nursing has approved the Practical Nursing Program since its start in the Fall of 1975 and the Associate Degree Nursing Program since its start in 1996. The National League for Nursing Accrediting Commission had accredited the original PN program which was associated with the Beloit campus program. The Associated Degree Nursing program received initial accreditation from the National League of Nursing Accrediting Commission in Fall 2000. 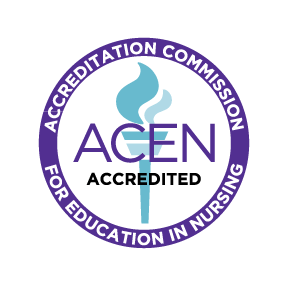 Effective May 6, 2013, NLNAC changed its name and is now the Accreditation Commission for Education in Nursing (ACEN). The Associate Degree Nursing Program has accreditation with ACEN. The next accreditation site visit by ACEN will be Fall 2021. Southwestern College in Wichita, and Chamberlain College of Nursing. ATI Test of Essential Academic Skills (TEAS) will start in September to the end of January. There is a study manual and online practice assessments available. Please logon to the website at www.atitesting.com for the study guide. To schedule a TEAS testing time, please call 1.888.567.4297 or 785.625.2437 during the months of September to the end of January. The first year applicant shall take the entrance examination for purposes of placement in the program. Entrance testing will occur during the months of September through the end of January. The ATI test of Essential Academic Skills (TEAS) is used with a required cut score of 58.7% as established by the test vendor. The TEAS may be taken a total of 2 times with one month in between testing dates. An applicant may retake the TEAS to improve his/her score even if a 58.7% cut score or higher was achieved initially. The individual adjusted total score will be used for ranking purposes for class selection. The testing fee is $70 each time. All applicants shall have a C or better in previously completed general education and other plan of study (non nursing) courses. The actual grade will be considered only in case of a “tie” in the scores of the first year applicants. The actual grade of nursing courses will be considered only in the case of a “tie” in the scores of the second year applicants. First year applicants must be a Certified Nursing Assistant (CNA – active in Kansas) before they can be accepted into the program. Admission points will be awarded to those applicants who are Certified Medication Aides (CMA – active in Kansas). No validation of nursing credit is required if holds current PN license. No validation of nursing credits is required if holds current PN license. College may require 1000 hours nursing work experience as an LPN during the last three years. College may require 1,000 hours of nursing work work experience as an LPN during the last three years. For those applicants who have graduated from an out-of-the-state practical nursing program, nursing credits will be evaluated individually by the nursing program director. Associate degree (second year) applicants shall provide evidence of completion of a course of study equivalent to the first year of this program. All required information shall be in the official file maintained by the nursing program director before the application will be reviewed. Responsibility for completing the required information rests entirely with the applicant. The class will be selected by choosing the highest-ranking applicants. Alternates will be chosen to fill the remaining slots as positions become available. Class selection will be finalized and those selected will be notified in February (first year applicants), and in April for second year applicants. Following the class selection, the application will be purged and the application process (meaning new application) will begin again. North Central Kansas Technical College Nursing Program’s faculty has identified specific abilities that are critical to the nursing student’s success. Students must demonstrate the ability to meet standards, with or without reasonable accommodations. 1. make appropriate observations required in providing nursing care. 2. manipulate equipment and supplies as required in providing nursing care. 3. use senses of hearing, seeing (color vision, depth perception, near visual acuity), touch and smell to make observations regarding client conditions for the purpose of demonstrating competency to engage in nursing practice. 4. hear telephone and have ability to take orders over the telephone. 5. hear vital signs with stethoscope to assess blood pressure, heart rate, lung and vascular and abdominal sounds. 6. hear the patient calling for help. 7. hear beepers, alarms, etc., requiring quick responses. 8. read very fine or small print on medication containers. 9. See nurse call/emergency light. 10. visually assess the patient appropriately. 12. read monitors and other equipment. 13. lift a minimum of 50 pounds unassisted and over 50 pounds assisted. 14. tolerate physically taxing workloads and function effectively under stress. 15. tolerate awkward positions, be able to grasp, handle, manipulate finger movement, reach, sit, stand, stoop and bend, twist, pull and push and have manual dexterity of both hands and fingers. Stand for long periods of time. Work at a fast pace for long periods of time. 16. demonstrate manual dexterity to don sterile gloves and gown. 18. demonstrate manual dexterity to use sterile techniques (i.e., insert catheters, IV needles, etc.). 19. demonstrate ability to utilize machinery and tools needed to carry out patient care. 20. work alternating shifts (8-12hours) days, evenings and nights. hear patient sounds, voices, beepers and alarms. independent recording of nursing care plans and communication analysis. 3. use diplomacy and tact. utilization of his/her intellectual abilities, the exercise of good judgment, the prompt completion of all responsibilities involved in the diagnosis and care of clients, and the development of mature, sensitive and effective relationships with clients. 2. adapt to changing environments, display flexibility and learn to function in the face of uncertainties inherent in the clinical problems of many clients. 3. carry out activities consistent with safe nursing practice without demonstrated behaviors of addiction to, abuse of, dependence on any drug that might impair behavior or judgment. 1. problem solve which is a critical thinking skill that is demanded of caregivers. Critical thinking requires the following intellectual abilities: measurement, calculation, reasoning, analysis and synthesis. 2. exercise judgment skills as required in providing nursing care. 3. identify, assess, and understand client conditions to provide nursing care. Students must have visual and hearing acuity appropriate to work within demanding clinical settings. 4. determine appropriate conclusions and course of action necessary for providing client care. 6. organize materials and remember procedures and instructions. 7. pay careful attention to detail and concentrate on tasks. 8. handle multiple priorities and perform tasks during the limited time frame. 9. respond appropriately to stressful situations (physically, emotionally and mentally). Criminal conviction may jeopardize eligibility for licensure. Got a question regarding the A.D. Nursing program?